The foundation and development of "Dimitrie Cantemir" Christian University is one of the most eloquent proofs of the private initiative efficiency even in a conservative field like that of Higher Education. 1.Level I: Bachelor’s Degree accredited studies, three years, full-time and low-attended courses. 2.Level II: Master Degree accredited studies, two years, in the field of management, international business and European accession business. 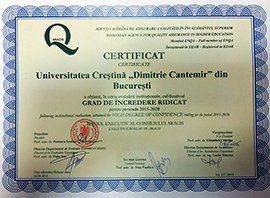 DCCU, accredited by law 238/2002, is institutionally evaluated by Romanian Agency for Quality Assurance in Higher Education with High Degree of Confidence, the highest degree granted to a Romanian University. 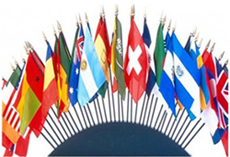 The high educational level provided by the Faculty of International Business Administration offers the students a wide range of professional competencies, enabling them to perform as specialists in the international business field after graduation. 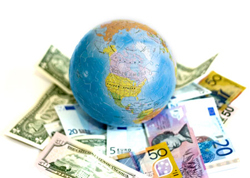 This programme is drawn up considering the current the specialists’ training in the International Business field, with a view to widely open the economies beyond frontiers.